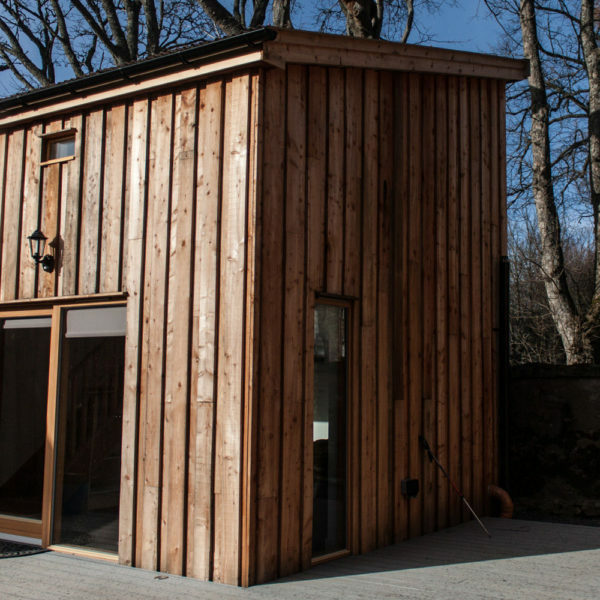 Carn na Drochaide cabin is set out on two levels, with living accommodation on the ground floor and the two bedrooms upstairs. 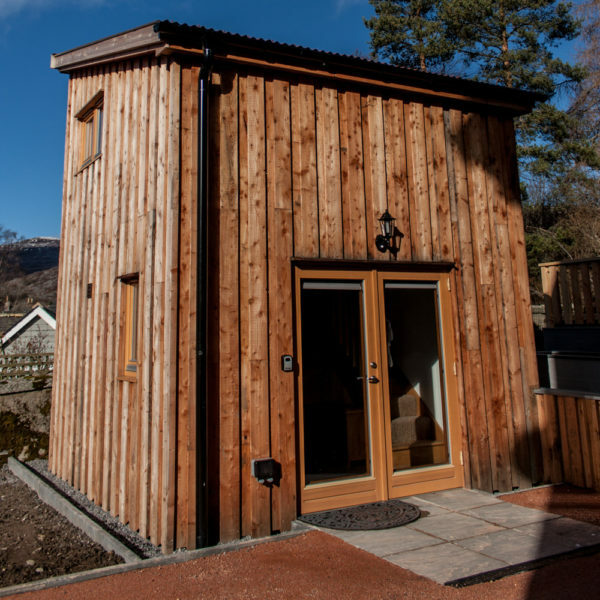 With a single pitch roof, this really does optimise the interior space to the maximum. Whilst head height is minimised at one end of the bedrooms, they have a cosy loft feel. 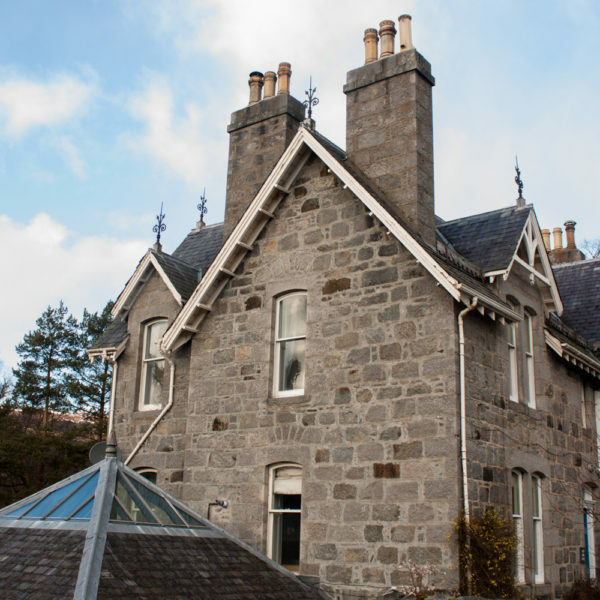 Underfloor heating downstairs with its own independent boiler keeps it warm and toasty, whilst the endless supply of hot water means everyone can have a soothing shower after a day out on the hills, enjoying the fresh air. 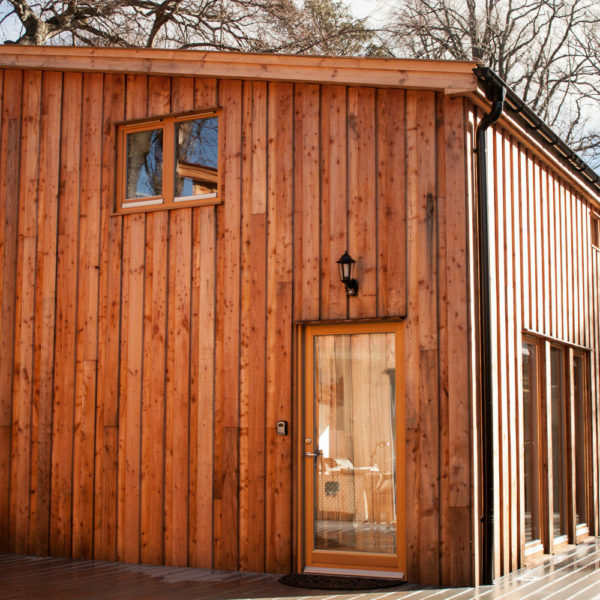 The cabin is designed to be disability-friendly with wheelchair access straight to the cabin. Inside, it is equipped with an electric stair lift, electric beds and a portable shower host can be provided. Deposit payments are only available for bookings more than 30 days in the future. Zip and link beds gives the option of double or twin layout in both bedrooms, with one bedroom having electric zip and link. 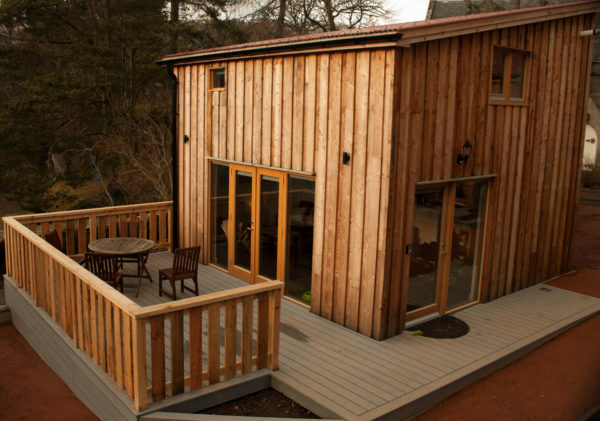 We are committed to making all areas as accessible as we can, with wheel chair friendly pathways and easy access from car to the cabins. A small battery operated folding scooter is also available for loan. Beneath the deck adjacent to The Bothy coffee shop are several lockers for storing bikes, skis and buggies etc. Next to this is the fire pit and BBQ area which is a communal area for all cabins to use overlooking the old mill wheel and river. Summer hire of Men’s, Ladies and children’s Mountain Bikes. This is from April to October only. Cross Country, Nordic and Alpine Ski Touring equipment hire including boots and poles.